One of the most popular Saints as a patron for pregnant women and also as a liberator of prisoners. 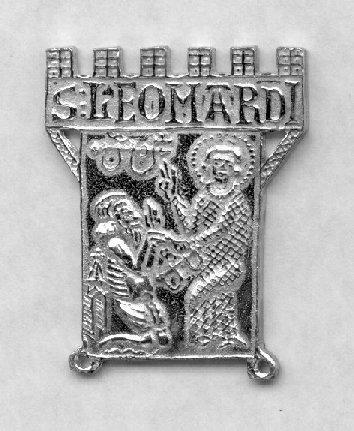 This badge shows the Saint pointing at a pair of manacles. As he touches a kneeling prisoner the manacles fall from his hands. With loops for stitching.